Station Casinos’ Las Vegas president, Lorenzo Fertitta, resigns yesterday to work full time for the UFC. Because of the rapidly growing popularity worldwide of the Ultimate Fighting Championship, the past president of a half a dozen Las Vegas casinos, will concentrate on the international business development for the multi-billion dollar mixed martial arts franchise. A joint venture seven and a half years ago between Lorenzo, his brother, Frank III and Dana White purchased the then small time UFC for $2 million. Since then fights have taken place in multi million state-of-the-art venues around the globe. The MMA world knew of a shocking news from the UFC, but none came close to guessing the addition of Fertitta and the results it will bring to the world of fighting. Lorenzo left a position where he was reportedly paid $113.8 million in salary, according to a local Las Vegas magazine. The company’s significant growth requires a divide-and-conquer approach from the brothers. 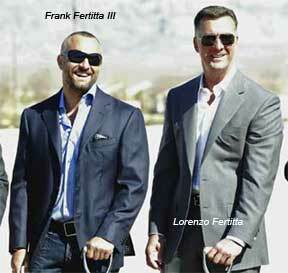 Frank Fertitta III will remain as CEO of Station Casinos and retain his ownership percentage in the UFC. UFC plans to expand globally including mainland Europe, with plans to go to Spain, Italy, Germany and France. He said he foresees expansion into the Baltic countries, including Russia, and was in Dubai recently working on establishing a foothold for the franchise. Global expansion for the UFC will be astounding in the next five years and will be larger than the Major League Baseball and the NFL, according to the owners. Expansion in Asia will include Japan, China, South Korea and India as other top markets for the company. Station Casinos Las Vegas president Fertitta resigns to work for UFC.